A man has been stabbed to death in a south-east London street. The Met Police said no arrests have been made and inquiries were ongoing. 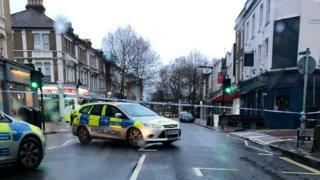 Local roads including Lordship Lane have been closed. Four males – two aged 18, one aged 15 and another aged 16 – were arrested on suspicion of attempted murder and remain in custody.